As citizens, it is essential that we honor the commitment veterans have made to our country, by making our own commitment to them. Within Metro Government, we established the Mayor’s Week of Valor in 2014 because we want to embrace our obligation to treat veterans with the respect and compassion they’ve earned for their service and sacrifice. This is part of a series of steps we’re taking to help our veterans. Also in 2014, for example, I became one of the first mayors to sign the Mayors Challenge to End Veteran Homelessness. First Lady Michelle Obama and Dr. Jill Biden, wife of Vice President Joe Biden, championed this effort to get local governments working in partnership with the U.S. Department of Housing and Urban Development (HUD), Department of Veterans Affairs (VA), The United States Interagency Council on Homelessness (USICH), and the National League of Cities. There are a lot of names mentioned here because the issue of veteran care, particularly housing, is big enough and crucial enough that it requires people from across the community working together. Locally, we established a partnership between Louisville Metro Government (primarily the Department of Community Services), the Louisville VA, Louisville HUD Office, the Kentucky Governor’s Office, Volunteers of America Mid-States, and the Louisville Coalition for the Homeless, to provide safe, permanent housing for veterans and their families. I’m thrilled to report that it’s working. We’ve assembled a team of professionals who are working tirelessly to reach out to veterans and pooling together resources to ensure that the people who once swore an oath to protect our rights to life, liberty and the pursuit of happiness have a safe place to enjoy those rights themselves. Our efforts have received national recognition, and we’re planning a major announcement of Louisville’s progress in addressing veteran homelessness in the coming days. Of course, housing is only one component of our commitment to our veterans. Mental and physical health, access to education and employment opportunities, and participation in community life also are essential. That’s why we’re working with the Veterans Community Alliance of Louisville (VCAL), a community-wide, collaborative initiative to coordinate veteran services and ensure a seamless system of care. Created in partnership through Leadership Louisville’s Yum! Ignite Louisville Challenge, along with Volunteers of America and Seven Counties Services, Inc., this group of young professionals from across the community has developed an amazing public, private and non-profit network of support for veterans and their families. They bring together more than 60 organizations to help make Louisville a compassionate and welcoming community for veterans. More than 56,000 veterans live in Louisville today, and we expect that number to grow. As many as 20,000 post-9/11 veterans will be discharged and coming home to Kentucky in the next five years. We want Louisville to be a destination city for all veterans because they have the discipline, commitment and skill to make great contributions to our community, and to help position us to be globally competitive in the economy of the 21st-century. We welcome them to Louisville. As we approach the second annual Mayor’s Week of Valor, I encourage you to join us downtown for Louisville's Veterans Day Parade and take part in some of the other events we have planned. Let’s come together and renew our year-round commitment to the men and women who’ve kept our country safe and who are helping to keep our compassionate community strong and vibrant now and in the future. 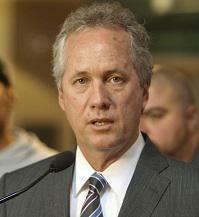 Greg Fischer is the Mayor of Metro Louisville.